When the California Public Employees Retirement System (CalPERS) decided the time had to come to add more office space to complement the existing headquarters building, Lincoln Plaza in Sacramento, an exhaustive interview process began to find the right architect. The conclusion of this national interview process was the selection of Pichard Chilton to create a design that would not only encompass all of the needs and requirements of CalPERS, but just as importantly provide a structure that would give back to the community. The design of the 550,000 square foot multi use building would include a host of items that worked well at Lincoln Plaza. Some of those items would include the use of daylight, large and small terraces with native planting, large open spaces in the interior of the building and the use of low VOC finishes and furnishings. Many of these items fall in the “green” building theory utilized extensively in construction today, however they were being used by CalPERS as good practices prior to the green movement. To best utilize the rectangular property that the new office would be placed on, the design called for two separate “U” shaped structures. 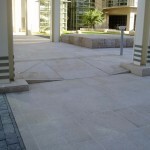 This would allow for large landscape areas for gatherings and maintaining access for an existing street. 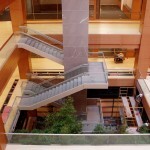 Two pedestrian bridges on the third floor and one on the fourth floor join the buildings. The final stone design would call for interior wall cladding, counter tops, restroom vanity tops and cubic benches. 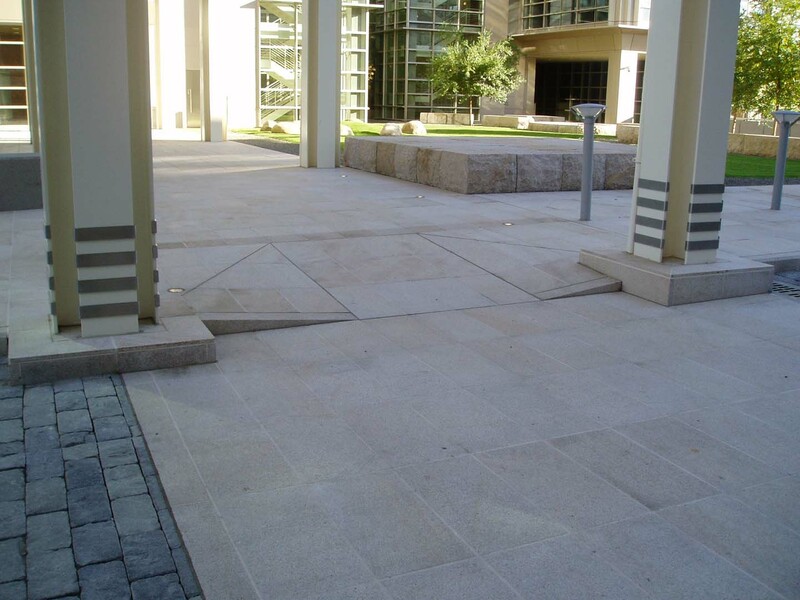 The exterior would have pedestal set pavers, mortar set pavers, cubic curbs, cubic benches, cubic signage, cubic stair dividers and cubic landscape elements, as well as natural stone boulders placed as part of the landscaping. 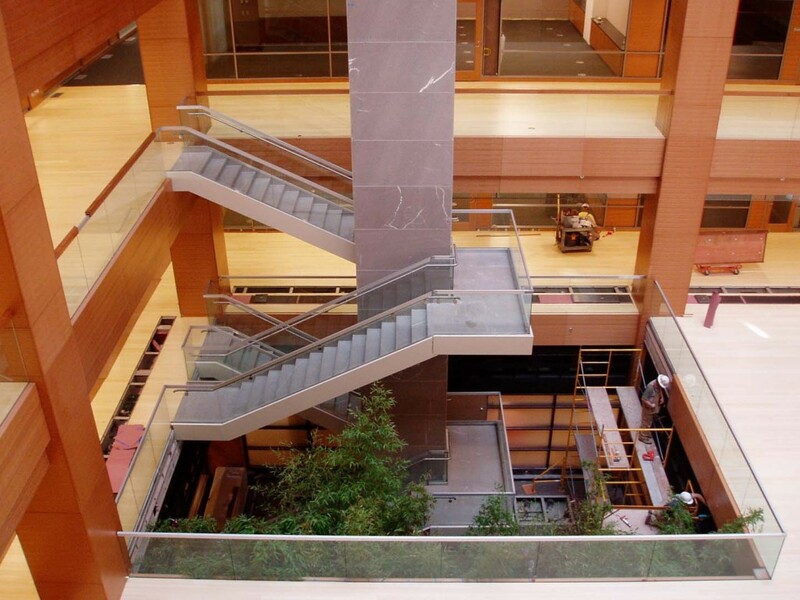 The cubic benches, weighing in excess of 3,000 pounds, were required to be placed in the interior lobby as well as on terraces from the second floor to the sixth floor. 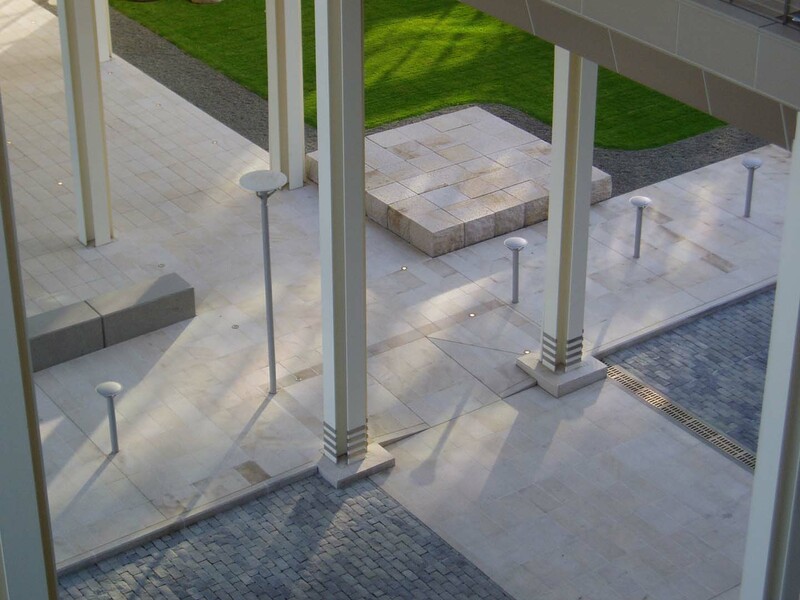 The exterior terraces provided a distinct challenge in placing the benches using a crane. 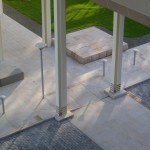 The terraces all had a sunshade structure of some kind and the stone had to be flown in without damaging the structure.